Understanding the foreclosure process in California is important if you find yourself having trouble making mortgage payments. We give you some background on foreclosures and what to do if you find yourself in this situation. The two ways different states use to foreclose upon a property are: judicial (in court) or non-judicial (out of court). California is a non-judicial state, although judicial foreclosures are allowed (but not common). The mortgage lender serves you with papers demanding payment, called a Notice of Default (NOD) and the courts are not required – although the process may be subject to judicial review. This is the “pre-foreclosure” period. The NOD is mailed to you and all interested parties. Three months after the NOD is filed, a bank can file a sale date, which is done through a trustee (the sale is called a trustee sale). You have until 5 days before the sale date to remedy all past due balances and accrued costs for the bank’s filings. If the default is not remedied, the trustee can then sell your property for the lender at a public auction (notice must be given). Generally, it’s best to avoid a foreclosure auction. 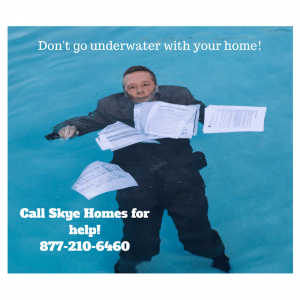 Instead, call up the bank, or work with a reputable real estate investment company like Skye Homes to help you negotiate discounts off the amount owed to avoid having to carry out a foreclosure. If you need to sell a property in the Bay Area, we can help you. We buy houses in the Bay Area like yours from people who need to sell fast.